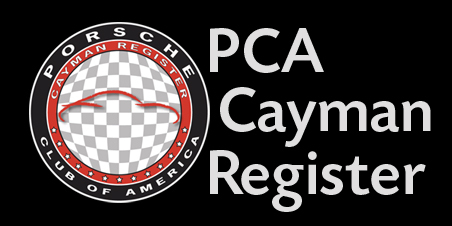 As you spend more time reading about Porsches and surfing web forums, chances are you're going to come across an acronym or two that make absolutely no sense to you. Here's a list of many common acronyms and their meanings. 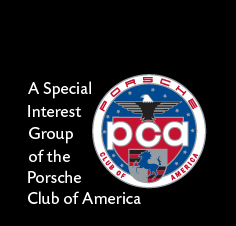 Original model number given to the 911. Changed to 911 because Peugeot owned the rights to all 3 digit model numbers with a 0 as their center digit. Limited production mid engine car made in 1964 and 1965. Powered by a 4, 6 or 8 cylinder engine. aka - Carrera GT, Carrera GTS, 904/6 and 904/8. The most quintessential Porsche model, made from 1964-1989. Always powered by a rear mounted 6 cylinder engine. Entry level 911 powered by the 356's 4 cylinder engine, 1965-1969. A mid engine entry level street Porsche made from 1969-1976. Entry level Porsche made from 1976-1988 w/front mounted water cooled 4 cylinder engine. GT car was made from 1978-1995 w/front mounted water cooled V-8. Front engine all Porsche version of the 924 built from 1982-1991. The replacement to the 911, sold from 1989-1992 sharing the 911's rear engine format and looks. The ultimate evolution of the 944, sold from 1992-1995. This was the first Porsche to ever have Vario-Cam. Known as a great daily driver. Second Generation Cayman platform from Spring 2013 as a MY 2014 to present, shared with Boxster. Replacement of the 964, sharing the 911's rear engine format and looks. Sold from 1993-1998. The first 911 derivative to use hydraulic lifters. Replacement of the 993. Sold from 1999-2004. The first water cooled 4 valve per cylinder derivative of the 911. Replacement of the 996 sold from 2005-2012. Replacement of the 997 sold from 2012-. This FAQ section was written by Santa Fe and was last revised in December, 2009.